Bed coverings such as quilts were made to be used every day, and therefore often shows signs of wear. Edges may be torn or discolored, a coverlet may be unraveling, or certain fabrics in a quilt will decay faster than others. 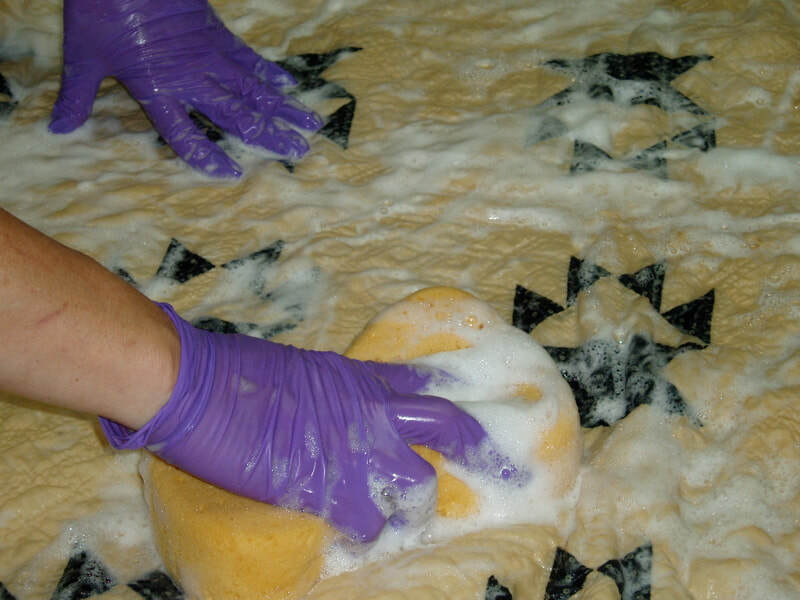 ​Recognized as works of art, many museums and historical societies have entrusted Museum Textile Services with assessing, cleaning, repairing, and exhibiting their quilt collections. 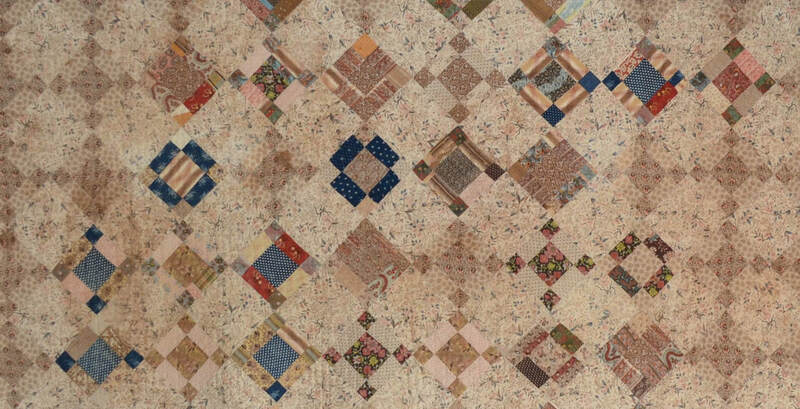 Detail of a nine-patch quilt. Courtesy Maine State Museum. Safely displaying quilts in your home or museum is a challenge due to their often large size and history of use. Museum Textile Services can provide a Velcro or magnetic display system that attaches to the back top edge of this quilt to allow it to be easily installed and deinstalled. When not on display, all quilts should rest in an archival storage boxes away from fluctuating environmental conditions and pests.